The idea for this little test emerged while we were preparing a different experiment that we are going to publish soon: We had been wondering if it’s possible to implement hreflang with Google Tag Manager (Spoiler: the answer is yes!). 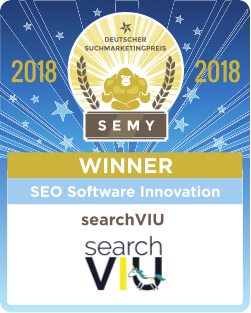 In order to test this on our own website, searchVIU.com, we first of all had to remove the hreflang annotations that were already in place. Due to our technical setup (hreflang had been automatically added by the great multilingual WordPress plugin Polylang), we did not find a quick and easy way to remove hreflang from our website. 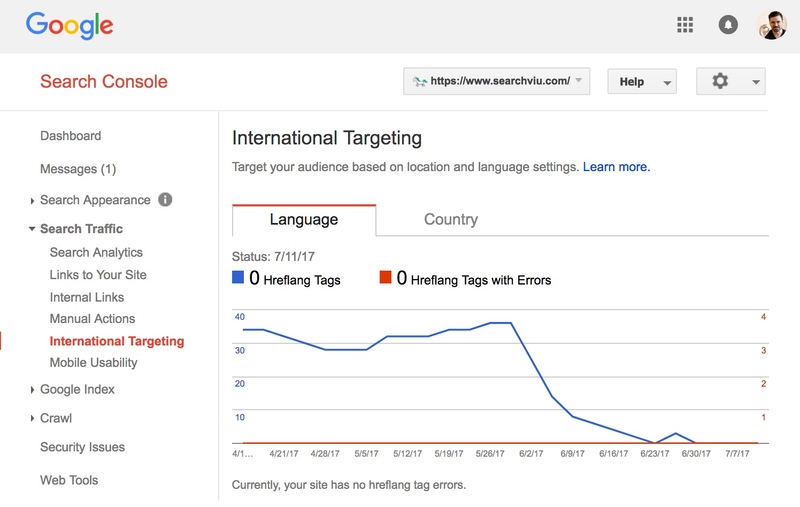 So we decided to just use Google Tag Manager to remove the hreflang annotations from our website before adding them again (also with Google Tag Manager). The script you see in the screenshot removes all link elements that have hreflang attributes from the HTML source code (hat tip to Sam Nemzer for sharing the scripts we used as inspiration for this in his masterpiece “How to Implement SEO Changes Using Google Tag Manager”). How does Google deal with hreflang being present in the HTML source, but absent in the rendered HTML? To be honest, we had no clue how this would work out. 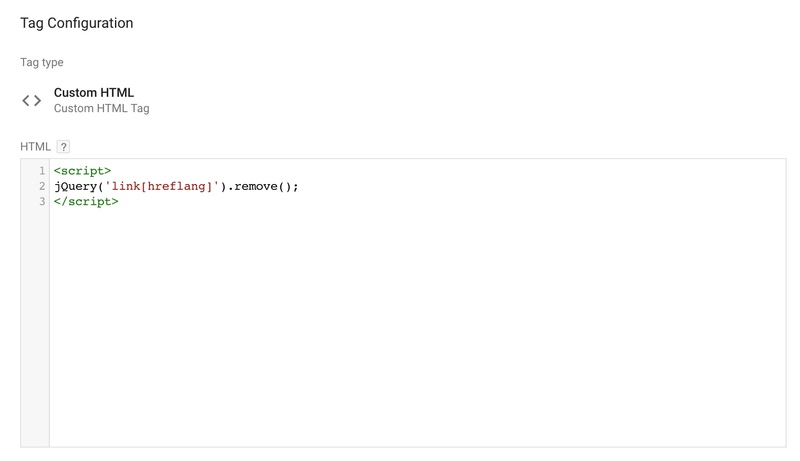 Would Google ignore the hreflang annotations in the HTML source because they were missing in the rendered HTML? We were of course hoping this would be the case, otherwise we wouldn’t have set up this test. The simple answer to this question is that Google doesn’t care about the HTML source document (the pre-DOM HTML) and only looks at the rendered HTML (the post-DOM HTML). 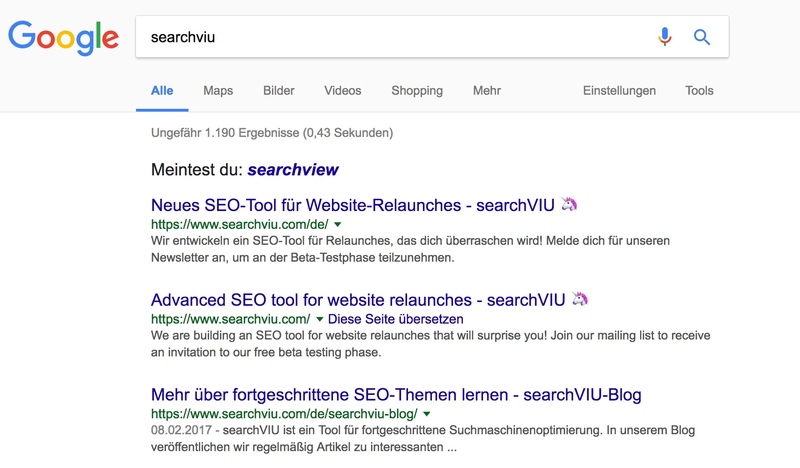 Before, with hreflang still implemented correctly, only the German version ranked in the German search results, just as expected when hreflang is implemented correctly. This, together with the fact that our international versions are displayed in the wrong way since the change, is enough evidence to say that Google ignores our HTML source document and only pays attention to the rendered HTML for the interpretation of hreflang. Quite interesting, huh? We were surprised and happy to find out that Google behaves this way. We thought that Google might process both the pre- and the post-DOM HTML and use some of the information it finds in both. But then again, it would probably be quite difficult for them to determine which version to trust if there are conflicts. So it looks like they are moving (or have moved) to strictly working with the rendered HTML and ignoring the pre-DOM HTML. In hindsight, this probably makes sense and we should have expected the results we saw. What do you think? Have you made similar observations? Or contrary ones? Do you know of current cases where Google ignores the rendered HTML and uses the pre-DOM HTML? We would love to hear from you in the comments. Also, if you’re interested in part two of this experiment, stay tuned! We will implement hreflang using Google Tag Manager next and share a step-by-guide on this blog to show you how to do it yourself. We obviously expect Google to process hreflang annotations implemented this way just fine after having seen the results above, but we’ll let you know how it goes anyhow. Just follow us on Twitter, Facebook, or wherever you like, so you don’t miss it!